I have never had to do anything harder in my life then put down Leo. He was just shy of 3 years old, and the best dog you could ask for 99.9% of the time. He was born at the rescue and had been placed and returned once before he came to us. He had always been randomly aggressive, but we did our best to identify the triggers and avoid them. We talked with behaviorists and trainers and did our best, but knew we were fighting a losing battle. There was no way to identify what set him off. You could take his food away no problem, but if he was finished eating and trying to destroy the food bowl he would try to bite. The only time he made contact biting was the day we put him down. Something just wasn't wired right, yet we still felt guilty that we were doing the wrong thing. He came to us when he was 10 months old, we only had him for 2 years. I know that the 2 years Leo spent with us were the best years of his life, he had a huge yard and a warm bed to sleep in…he was spoiled rotten. I think when you rescue a dog you feel even more responsible for them because not only did you give them a home, you saved them...you pulled them from a life of uncertainty. My wife had a hold of Leos collar and he turned and grabbed her hand. She spent 6 hours in the emergency room and 5 months later still has problems using the little finger on her left hand. It was amazing how much damage was done so quickly. I called everybody I could think of that night. 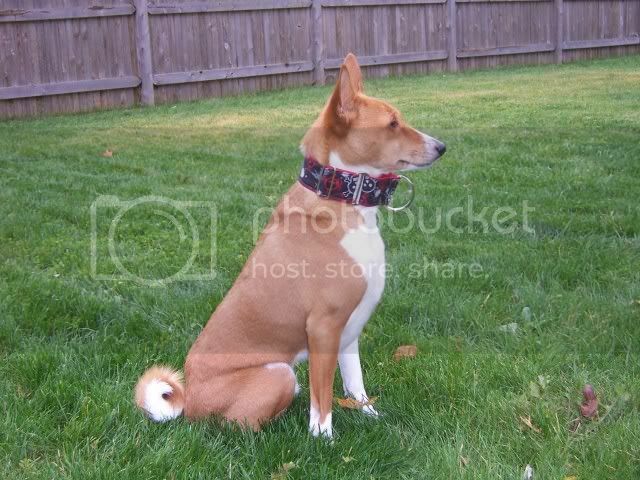 I called the basenji rescue we got him from, the trainer, the vet...and everybody said the same thing. We didn't put Leo down because it was the best thing for us, I still miss him every day. It was the the kindest thing we could do for Leo. I know what you are going through with Tucker is extremely hard, but the years he spent with you are by far the best years of his life. I hope you are able to find someplace for him, but if you can't he won't be alone in the fields on the other side of the bridge. Title should be Nexa is noisy…I was laughing at the video and apparently my eyes didn't catch up to my typing. I'm so glad we got a barkless dog, they are soooo quiet all the time:D I had to sneak up on her to get the video. Our living room is a disaster, we turned it in to Nexa's personal recovery area. Nexa got spayed on Friday and everything went good. They did find a spot on her soft palate when she was out that they are doing a biopsy on to make sure it is nothing to worry about. We put a mattress in front of the couch as a step so Nexa wouldn't jump up on the couch, trying to keep her as inactive as possible. 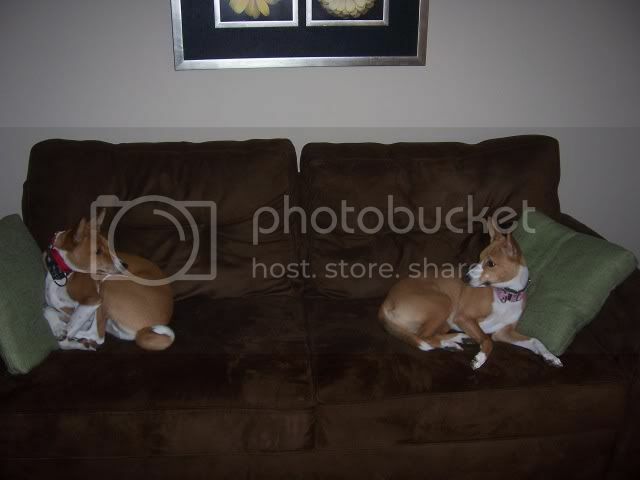 In typical Basenji fashion the first time she went down stairs she jumped over the back of the couch because somebody put a mattress in front of it. 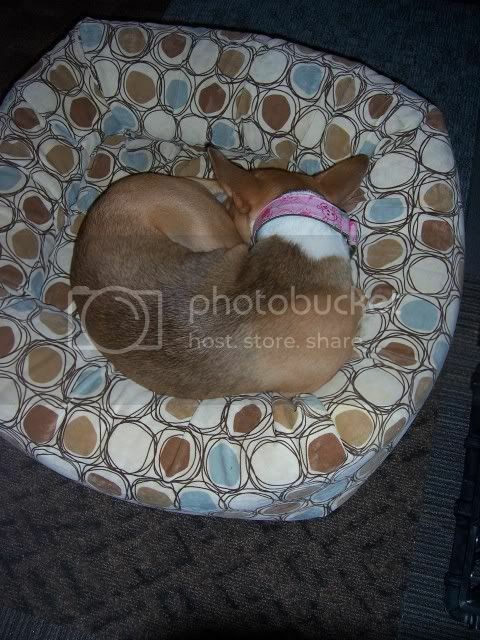 So much for the keep your dog as inactive as possible. Thank you all so much for your kind words. It is amazing the hole in your lives when one is gone. After three weeks of seperation from their big fight I decided to see how Nexa and Leo would do together. We went for a long walk, then to the backyard off leash, then inside. Everything went great! :D No ridges up, no grrring (except when Leo cleaned Nexa's ears but that's normal), everybody was happy. It's so nice to have them back together. When they were seperated and I was here by myself whichever dog I wasn't with acted like they had been negelected for weeks. Here are a a few picture from today. I think this picture is perfect, it looks like they are still trying to figure out if they like each other, and if the couch was bigger they would scoot even further apart…but it's really comfy so we'll stay here for now. Leo is out for a walk right now with my wife and Nexa is inside with me. She baroo's all the time, but she just started the fire engine yodel. WOW is that loud. She's never done it before. I think she's ready for her walk! I found this info on how to get your dog to throw up. Anybody ever try this? It's not pretty, but the hydrogen peroxide has saved us more than one vet visit. The best was when a leather glove came up missing…nobody saw the glove disappear, but Leo just looked guilty. He won the coin toss...and "gave" back the glove.